I’ve yet to meet a designer who doesn’t harbour a fondness for maps, writes Alexander Ecob. Perhaps it’s the vaguely retentive appeal of putting everything in its rightful place, or the pedigree of one of the oldest forms of data visualisation. Whatever the reason, many artists and designers have something of the cartographer about them, and a handful of these put it to good use. 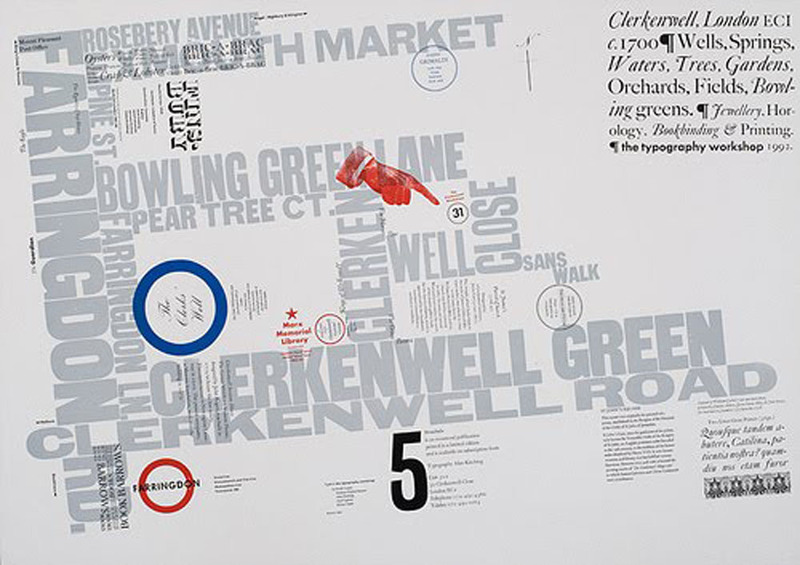 Top: Alan Kitching – Clerkenwell map. See Video Thrills – the letterpress star, Fine words for Kitching / Stothard on the Eye blog and The show must go on in Eye 74. Above: Diorama Map by Sohei Nishino. 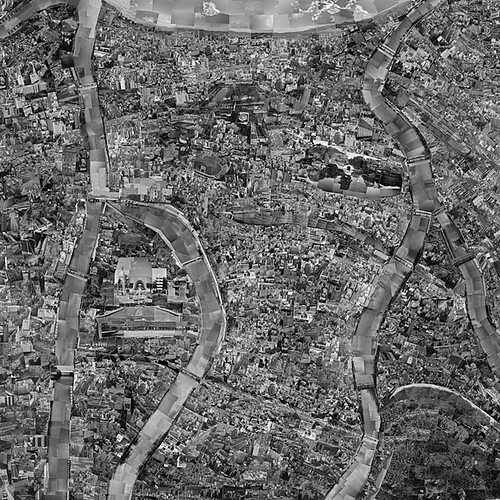 Shown recently at London’s Michael Hoppen Contemporary gallery, Sohei Nishino's Diorama Maps are painstakingly created photomontages, made up of thousands of images taken and developed by the artist, then cut and spliced together to construct maps that are at once familiar and disorientating. 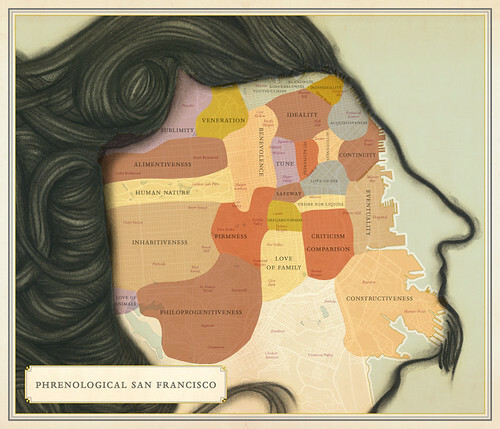 Above: Phrenological San Francisco (Sarah Stern, Ben Pease and Paz de la Calzada) from Infinite City by Rebecca Solnit. Four years in the making, the work of a cooperative of artists, writers, historians, researchers and cartographers from the Bay Area, Infinite City takes the form of 22 inventive maps of San Francisco and its environs, each with an accompanying essay. The whimsical approach and surrealism of its correlations put this book more in the realm of Italo Calvino than the Collins World Atlas, and it is all the better for it. Above: The Island by Stephen Walter. London-born artist Stephen Walter’s The Island satirises the London-centric view of the English capital and its commuter towns as independent from the rest of the country. 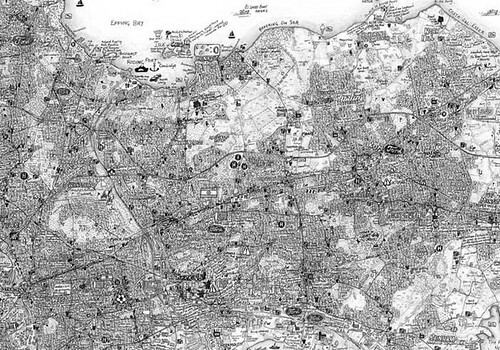 With maps of each of the city’s boroughs pencil-drawn in meticulous detail showing a wealth of local information, The Island was shown in the British Library’s ‘Magnificent Maps’ exhibition in 2010 (see review in Eye 76). 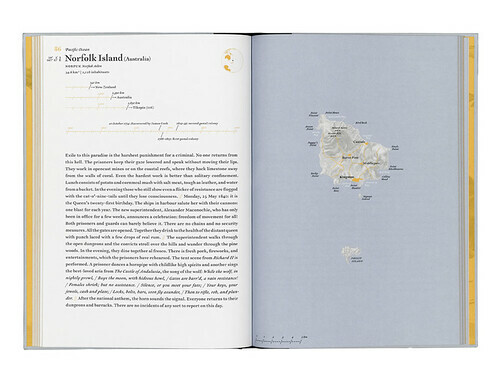 Above: spread from Atlas of Remote Islands by Judith Schalansky. Schalansky’s award-winning Atlas – conceived, written and designed by the German designer – is a triumph of charm and single-minded vision. Her delicate illustrations are juxtaposed with effusive vignettes that detail the islands’ known histories, bountiful and brutal alike. See review of Atlas of Remote Islands in Eye 78. 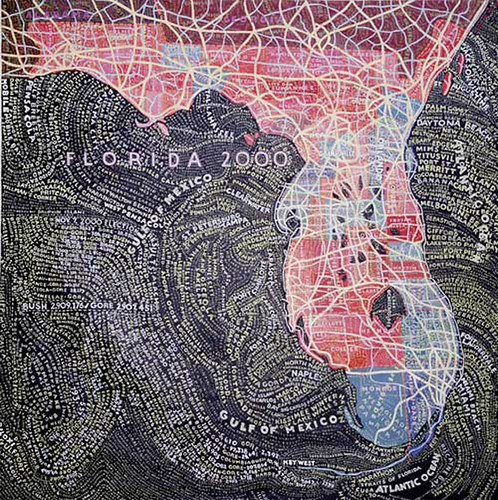 Above: Map of Florida by Paula Scher. See Bigger is Better on the Eye blog and the Reputations interview with Scher in Eye 77. 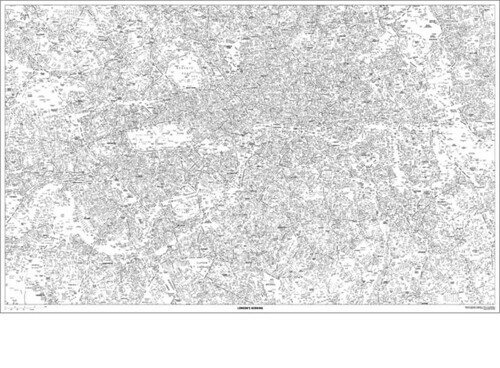 See also: next week’s ‘Hand-drawn London’ exhibition at the Museum of London, 21 Apr–11 Sep 2011.